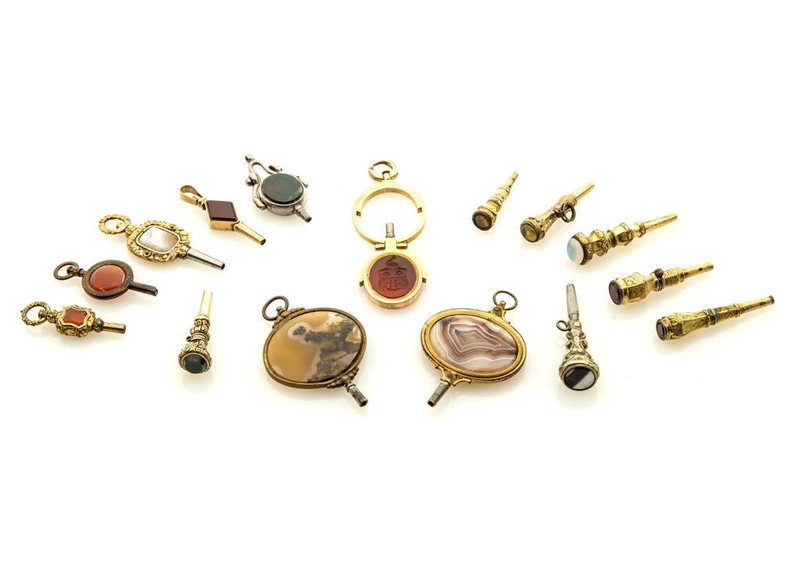 A SET OF WATCH STONE-SET KEYS 13 gold plated keys and 2 yellow gold keys with semi-precious stones. Made in the 19th century. . Yellow gold keys. A key with wax seal.